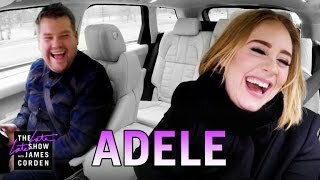 Top 10 Best James Corden Carpool Karaoke Performances Subscribe: http://www.youtube.com/c/MsMojo?sub_confirmation=1 What do you get when you add James Corden, celebrities and karaoke? Pure entertainment! 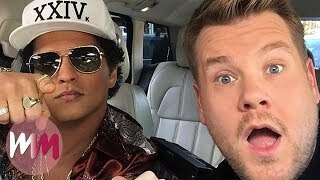 In this countdown we take a look at the top 10 carpool karaoke performances to have ever been featured on the show! 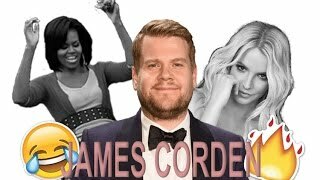 Among the list of A-list guests we have Michelle Obama, Jennifer Lopez, Adele, One Direction, Sia, Demi Lovato and Stevie Wonder! 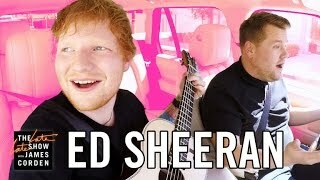 MsMojo's Social Media: Facebook►►http://www.Facebook.com/MsWatchMojo Twitter►►http://www.Twitter.com/MsWatchMojo Instagram►►http://instagram.com/MsWatchMojo Snapchat ►►https://snapchat.com/add/mswatchmojo Get MsMojo Merchandise at http://www.watchmojo.com/store Special thanks to our users Chris Lawrence, juliovaldezcorral and Lvettofor submitting the idea on our Interactive Suggestion Tool at http://www.MsMojo.tv WatchMojo is a leading producer of reference online video content of Top 10 Lists, Origins, Biographies, Commentary and more on Pop Culture, Celebrity, Movies, Music, TV, Film, Video Games, Politics, News, Comics, Superheroes. 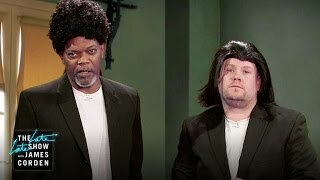 Your trusted authority on ranking Pop Culture.